With thanks to Reading Student Union (SU), and Mark Laynesmith from Reading University Chaplaincy. Reading University received initial contact from One World Week in June of 2009, and, after discussing the idea of holding an event, the Students Union (SU) had committed to the idea by July. Due to the university holidays, it was not until September that the SU committee started planning the events they were to hold. The committee had initially hoped for a great deal of organisational involvement from various faith groups, so they started by introducing the idea of One World Week during Faith Forum meetings. As a result the Muslim society planned a big football tournament and also held a talk on the environment, while one of the Christian groups held a workshop on climate justice. Faith groups also used the Week to advertise themselves better, using stalls in some of the busiest student areas. In terms of funding, the One World Week group requested a number of grants from different sources. While the Religious Society of Friends were unable to provide any monetary support, the committee did receive financial support from Reading International Solidarity Centre (RISC), the university’s alumni network, the Students Union themselves, and chaplaincy. This funding was put towards publicising and hosting a week of events. Reading University advertised their OWW events in the international festival leaflet produced by RISC, and the group thought this was very successful in terms of promotion. The main speaker for the week’s focal event was decided before the summer, using Mark Laynesmith’s contacts. He suggested that it is always worth starting with people you know, as you will often be able to avoid gatekeepers as a result, and speak directly to the person required. Overall, organising OWW at the university was hard work for the SU staff, but they felt that it was worth it in order to provide a range of inter faith events for the students, something that is not explicitly available during the rest of the academic year. Throughout the Week there was a wide selection of talks, displays, and social events held. Reading University modified the theme of ‘Hungry for One World’ to encapsulate environmental issues and they also added in some information and photographic displays of Darfur. The SU members suggested that the interfaith talks had a significant impact, as the people who attended seemed to learn a lot from them. The university also screened ‘The Age of Stupid’ directed by Franny Armstrong, and around 85 people attended this event. There was also a similarly high turnout for the guest speaker, Ann Pettifor, although Mark suggested that this might have been better attended if the title had been more punchy and appealing. The OWW organising group suggested that the appeal of these particular events were that they linked closely with topics of concern. They also mentioned that any event which focussed on food proved popular and could be done on a small budget! Looking back on One World Week in the context of the rest of the academic year, organisers noticed that people came to the events who never came to anything else all year. The general feeling was that this was because the faith aspect drew them in. They also mentioned that a lot of international students attended OWW, as it was so soon in the year and it gave likeminded students the chance to meet one another in a safe and friendly environment. Overall, the group said that it was difficult to get students involved in planning the events, partly due to the challenge of engaging the new committee members who had started in their roles only weeks before. The general feeling was that for Universities, having the week in October can be challenging. For example, OWW 2010 falls in week 2 of Reading University’s first term, immediately after ‘fresher’s Week’. Students are only just beginning their lectures at this stage and have a number of other leisure activities and administration tasks to handle at the same time. The SU and the Chaplaincy were therefore pleased to hear that One World Week is an elastic concept, and that we encourage events to be held whenever is easiest for the organisation. It does not have to be in October if there is a more convenient date later on in the year. Reading University suggested that, “organisers may prefer to have more focus on one or two events, although this does not necessarily ensure larger or more focused crowds” and that it may be better for OWW organisers to “have one main event with a group as a ‘seeding’ role, something to hang other events off and which will encourage a sense of bottom-up ownership”. 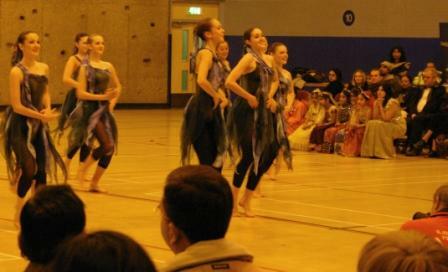 Every year Woking holds a celebratory event based on One World Week’s vision and ‘active togetherness’. The aim is to promote understanding and good neighbourliness through the medium of music and craft. 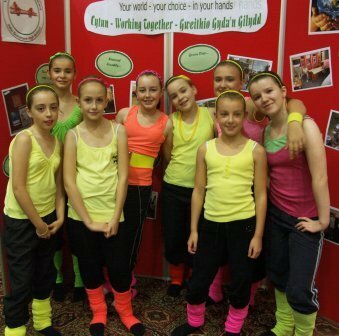 The show features performers and stall holders from all over the area. Raj Chhetri is the organiser, coordinator, and promoter of ‘Woking One World’ (WOW). Many thanks go out to him for providing us with this fortnight’s case study. The group started in 1985 and in 2000 Raj was asked to take up the challenge. 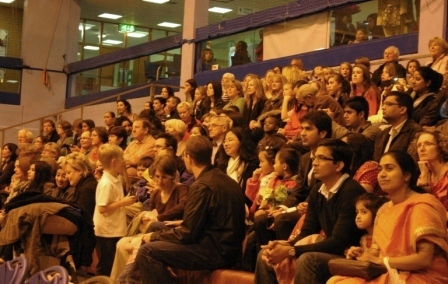 The Woking Borough Council Arts Department has assisted Raj with locating and securing the various stalls and the venue for the performance. Raj also depends very much upon the goodwill of various community groups, schools, dance academies, centres, local newspapers, and the council to help organise and participate in Woking One World. The local groups provide their music and dance free of charge. ‘WOW’ pays them a small amount for refreshment, especially when small children are involved as the event often runs for an entire evening. 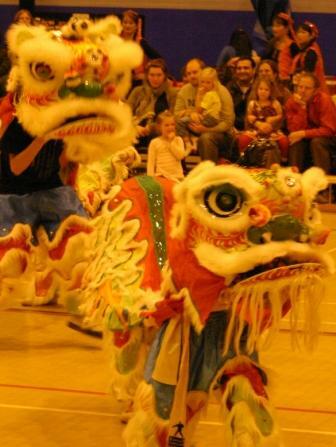 In 2009, Woking One World saw over 200 performers thrill a full house in Woking Leisure Centre with dancing, singing, and martial arts displays from around the world. Organisers charged an entrance fee for spectators to cover the costs of insurance and to provide the performers with a small donation towards refreshments. Raj has explained, “My service is free as I am a great believer in this event.” While Woking One World is an OWW event, Raj has pointed out that OWW events do not necessarily have to fall within the week in October if another date suits better. He has emphasised that, as OWW promoters, we cannot solve the unfairness and injustices in the world by ourselves in one week; there is a lot of power in creating goodwill and positive neighbourliness. “I aspire and persevere to bring people together in one evening that may open up hearts and minds, and touch the soul of each individual participant and spectator,” says Raj with his usual enthusiasm. 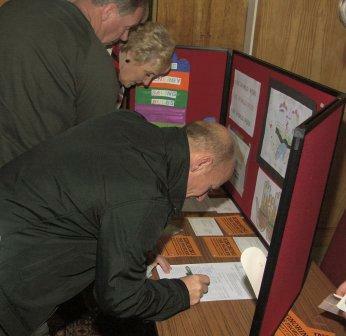 Churches Together on Deeside organised a number of very successful and active One World Week events, featuring a petition signing by the public, a family event to include schools and a concert for teenagers. The focus was on the Copenhagen Summit and the need for everybody to take responsibility for our future welfare. Many thanks to Chris Byrne, who provided us with the details of their organisational process. The Churches Together on Deeside committee started by nominating a small planning group of 4, and held 3 meetings with a simple structure. Meeting one focused on research into what issues they wanted to highlight during the week using the OWW website, CAFOD and Christian Aid for support and inspiration. Planning and scheduling the event was dealt with over two of the meetings. After some discussion the group identified some of the key approaches they wanted to include in the week - to involve all ages; to take a secular approach; and to encourage people to sign a petition on climate change for the Prime Minister. Appropriate dates and times were then set for each of the events. The final meeting focussed on how to run the events. The group identified the numbers of people needed and the support required for each event, including informing the police and the publicity. Each one of the planning group took on specific responsibilities to cut down the need to meet - using the meetings as a means to check progress and resolve issues. Local police were informed of all the events and they came to a meeting to understand what the group were doing, and consequently gave their full support. Petition signing: They first identified key locations on Deeside where a high footfall would maximize the numbers of signatures. Then they secured the venues - a supermarket, a church and a DIY warehouse - by a verbal agreement followed by written confirmation. Two sessions were chosen that best allowed for local media coverage and ensured the crowds of weekend shoppers. One member of the group devised a schedule to ensure that volunteers would be present at the stalls, and another planned the logistics - getting the resources to the venues and collecting everything at the end of the sessions. A4 petition forms and informative handouts were designed by the group, and over 1000 signatures were collected in these sessions and at the other events. Family event: One of the team asked 5 local schools to take part and arranged for a special needs school to draw posters to be used at the events. The schools were provided with literature regarding the Copenhagen summit and climate change, and were asked to use their imagination and interpretation in presenting the facts to an audience. The committee found that working with schools produced a successful and inspiring event, with performances ranging from song and drama through to a thought-provoking presentation. 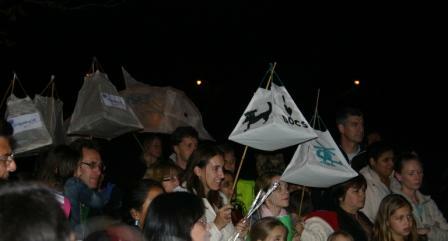 It also meant that both children and adults became involved in One World Week. 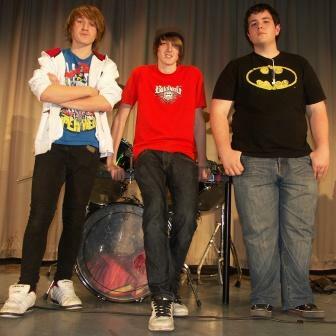 Concert: In the evening following the family event Churches Together on Deeside held a concert which headlined a number of local bands. At the same time a slide show on climate change was presented to raise awareness. The OWW organising committee experienced a few difficulties: They had to reschedule the main event to match venue availability; a supermarket refused to allow petitioners outside their store as it was not their company policy; and attendance at the evening concert was slightly lower than anticipated. “Overall the whole week went very well, it was inclusive and appreciated by those who attended. The number of signatures exceeded our expectations and also attracted our local MP who came along to one of the petition signing points. The concert did not attract enough people and if we do this again we need to not just advertise but promote the event. “Once again Bohunt School got involved in the intentions of OWW. Two PowerPoint presentations were used for launching the theme (using Christian Aid's Assembly PowerPoint as the initial stimulus). This was launched in School Meeting to approximately 1,000 students and 100 staff. The second PowerPoint shows what departments got involved in doing as part of the theme. I also went round with a tin asking for small loose change to go the Oxfam Water appeal and raised about £150." Congratulations to Lis and all involved at Bohunt - an inspiration to us all. You can download the departmental PowerPoint here to see their programme of activities." Jersey One World Group held two weeks of talks, film nights, exhibitions, and other events to mark OWW 2009. There were a number of people on the organising team, all of whom took responsibility for different aspects of the celebration. Following the main events, letters were sent to thank those who helped out. Jersey One World Group includes most local charities that are concerned with overseas affairs and also engages with primary schools on a regular basis. With the co-operation of BBC Jersey there were twelve presentations during ‘Morning Thought’. Presenters were from Jersey One World Group, Churches Together in Jersey (CTJ), the Muslim Community, the Church of the Latter Day Saints, Quakers, one person of no recognised faith, the Baha’is, and Spanish, German and Kenyan Nationals. A small exhibition was organised in the Public Library entitled the Rights of the Child. During the CTJ autumn forum a range of opening devotions taken from OWW resources were offered. A presentation was also made, however, according to the JOWG “the meeting was poorly attended; only 18 people were present”. In addition to these events, a very successful Family Quiz Night – ‘What do you know about other faiths?’ - was held, as well as a Quakers' Coffee Morning on the theme of sustainability and an Amnesty International Film presentation of ‘Hotel Rwanda’. There was some feeling that hosting two weeks of activities was a little too much, both in terms of what could be organised and what will be attended. However, the JOWG continues to show its support for tackling global injustices, and has started to plan the events for 2010, as well as hosting a big celebration of 40 years of Jersey Overseas Aid over the August Bank holiday weekend.